Passionate about water rights? These women will inspire you to get on ground. As an armchair activist, my idea of activism has for long been restricted to posting random and fleeting thoughts on social media in the hope of getting a few likes, shares and comments. There’s anger, a feeling of helplessness and undeniable frustration that I feel when the issue of water comes up in discussions. Even with this surge of emotions and intentions, I have more often than not ended up accepting my avataar of the armchair activist. This women’s day, an energy field seemed to have pulled the chair from under my seat along with rug under my feet, making me curious about all those women crusaders who have immersed themselves in campaigns for water rights and lake restorations. 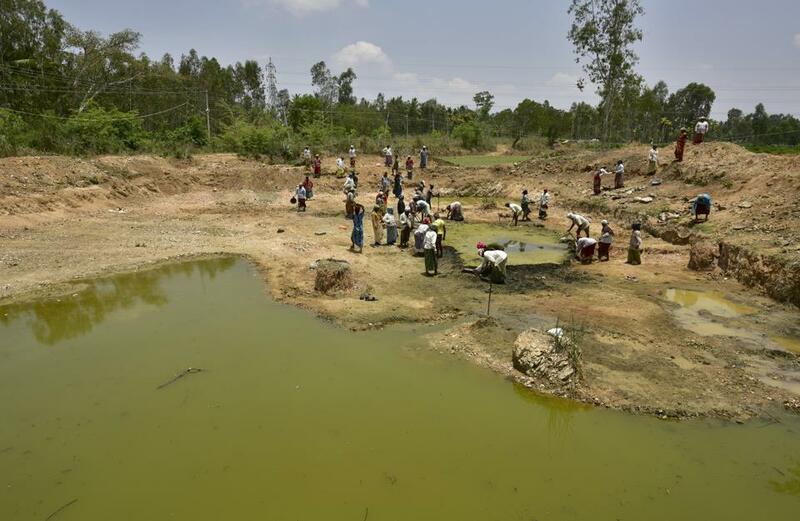 Close to 3000 women from the Mandya district of Karnataka are on the mission of reviving lakes, ponds and irrigation tanks of 31 drought ridden villages. The women have come together to deal with the water crisis that has been exacerbated by the drying of the lakes in the region. The crisis had reached a tipping point with there being no water left for even the cattles of the villagers. The women were inspired by a similar movement that took place in Gulbarga district of Karnataka where women from the villagers had revived over 28 water bodies. The ladies of Mandya faced constant obstruction from within the villages and the government but their relentless fight forced the administration to grant them designated work status under the Mahatma Gandhi National Rural Employment Guarantee Act (MGNREGA). Neither the scorching heat nor the incessant bureaucratic hurdles dampened their spirit to work for their water security. It is much easier to complain about water scarcity but that much more difficult to act on it and more importantly to force the government to cede to our demands. These ladies are truly inspiration not just for me, but clearly for many others in the state of Karnataka as well. A filmmaker and lake activist, Priya Ramasubban has worked tirelessly to turn a marshy polluted swamp land back into what is now known as Kaikondrahalli lake. 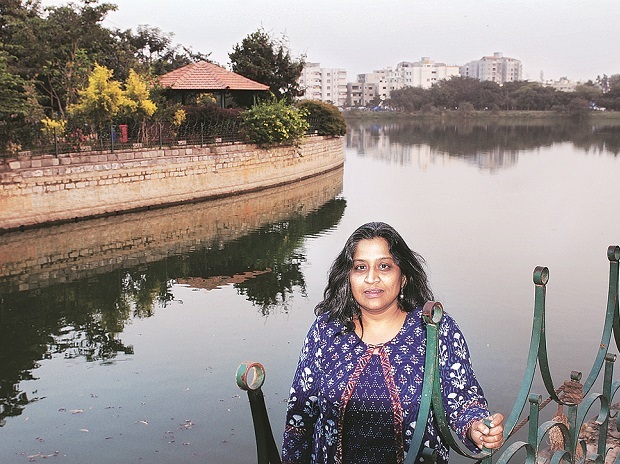 Priya along with others from the local community, was successful in bringing conservationists and experts together and in working with the local municipal corporation (BBMP) to revive a four hundred year old manmade lake. She was also able to influence the lake authorities to address the livelihood concerns of people dependent on the lake, including local fishermen. In order to solve the various social issues, we sometimes seem to buy into the narrative of being a one man/woman army and turn antagonistic towards other stakeholders including government bodies. A small piece of heaven amidst the busy chaotic streets. We seem to be prejudiced in our perceptions of the local civic machinery and more often than not end up walking the walk alone. Priya’s journey, through the story of Kaikondrahalli lake, shows us that collaboration with multiple stakeholders; the locals, practitioners and the civic authorities is one of the most effective strategies for conservation and rejuvenation of commons. 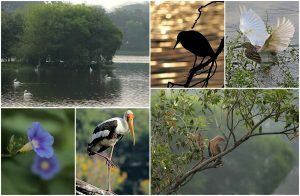 Today the lake boasts of over 40 species of birds, butterflies, insects and frogs as part of its thriving ecosystem. Also, the lake receives a footfall of over a thousand people during the week. Sahithi Pingali developed an application to collect crowdsourced data on the frothy and polluted lakes of Bangalore. 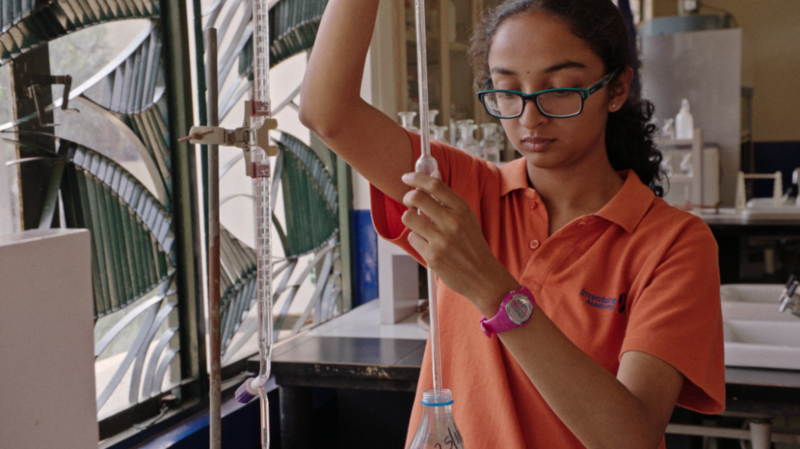 Her journey started with the change making initiative of her school, Inventure academy – Our lake, Our voice. It was at this initiative that she conducted an experimental case study on the foaming of Varthur Lake. 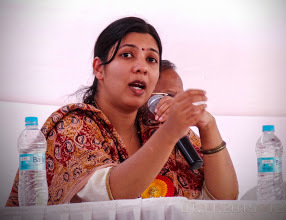 Subsequently, she studied the factors that led to the pollution of 9 other lakes of Bangalore. Her application won her rave reviews globally, to the extent that she now has a planet in the Milky Way named after her. She is now interning with the Civil and Environmental Engineering department at the University of Michigan. She intends to learn more about water pollution and solutions for it. It is truly amazing to see the youth of the country caring deeply about environmental causes and not letting their age be a deterrent to pursuing their passion. Kalpana Ramesh, an architect from Hyderabad, began her journey into water conservation when she became cognizant of the amount of water in her community that was being bought from a water tanker. She then started propagating the advantages of rainwater harvesting in her community and neighborhood. She oversaw the creation of recharge pits and land contours in her community. Slowly, the dependence of the community on tankers reduced and their own ground water began recharging. Kalpana soon started spreading the wisdom of rainwater harvesting to different communities and schools in and around Hyderabad. She also started a Save10kBores initiative which got more than 2000 families to revive their dysfunctional borewells. While working on this initiative Kalpana noticed that Hyderabad’s lakes were dying a slow death either due to pollution or contamination. 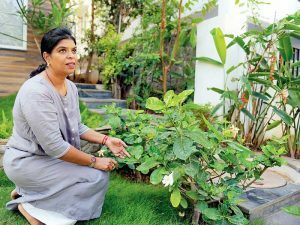 Seeing this she started another initiative called Live the lakes and her vision has been to revive 62 lakes in Serilingampally, Hyderabad with the help of local NGO’s, schools, civil society and local action groups. Kalpana’s story reminds me of Maya Angelou’s quote, “What you’re supposed to do when you don’t like a thing is change it. If you can’t change it, change the way you think about it. Don’t complain.” And to be able to live up to the quote deserves more than a mere tip of the hat. “…What drives me is that the river has to flow. A flowing river, for me, is a source of energy, spirit and inspiration to go on.” As told to International rivers. Parineeta Dandekar is the Associate coordinator of South Asia Network on Dams, Rivers and People. Her passion for water and ecology has meant that she has mobilised communities against the large infrastructure projects that affect rivers, communities and ecosystems. 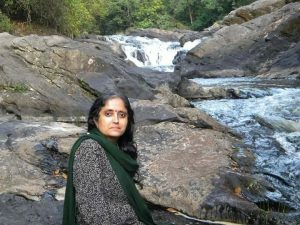 Her action driven research and writings highlight the positive impact of community-led water management practices and revival initiatives across the country. Despite the myriad of contributions she has made in the river conservation sector, she feels that there’s much work yet to be done. Her work is challenging but with such an attitude every task must surely be interesting and exciting. Kudos to her and the indomitable spirit she brings to her work. The well known commoner’s leader, Medha Patkar is best known as the founder and forerunner of the Narmada Bachao Andolan (NBA) movement. The sixty three year old has been fighting for various political and economic issues of farmers, dalits, tribals, labourers and women. 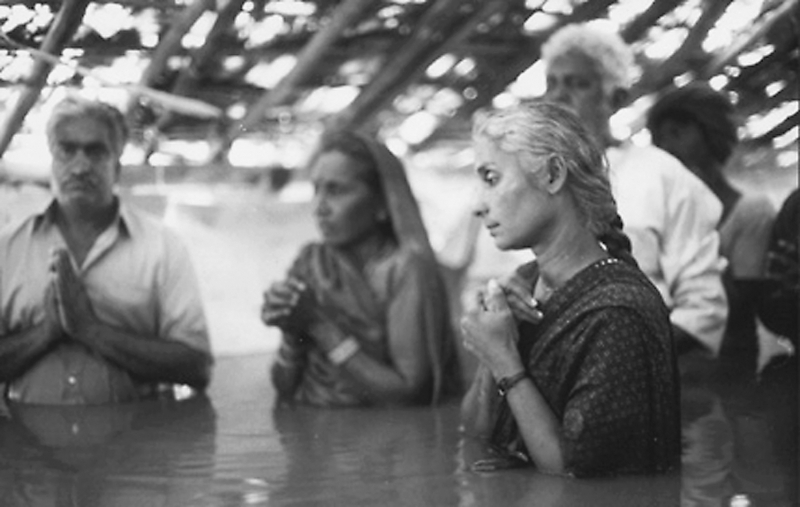 In 1985, Medha visited the Narmada Valley Development Project site that had been granted approvals for the construction of over 3000 dams across the Narmada river and its tributaries. This project was to submerge 37000 forests and farmlands and displace 320,000 villages across the river. Upon her visit, she realised that the inhabitants of the region weren’t even aware of the project, let alone be prepared for the consequences that included the submergence of their villages. The disregard by the government agents of the local communities dependant on the river and the natural resources that were going to be displaced because of the project instigated her to start the Narmada Bachao Andolan. For the past three decades Medha has been fighting relentlessly for justice. Her activism has garnered global attention and led to the World Bank backing out of the development project. She later was appointed as a member of the World Commission on Dams that analysed the social, political and economical impacts of dams globally. Three decades of one’s life isn’t trivial. 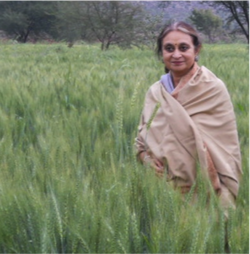 Medha has dedicated her life to the cause of social and environmental justice. Medha’s life has been one battle after another with challenges of degrees that I can only fathom about. Her work has hugely impacted other people’s movements across the country. 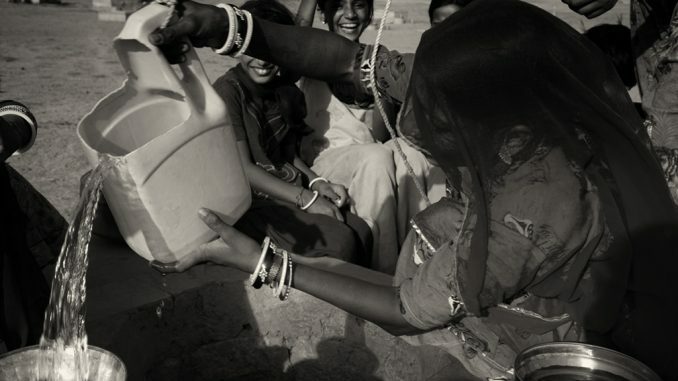 Popularly known as Water Mother, Amla Ruia’s work is one the main reasons why the driest villages of Rajasthan now have their open wells, bore wells, and hand pumps replete with water. Amla is the founder of Aakar Charitable Trust (ACT) which builds traditional check dams (Khadin) as water harvesting methods for drought ridden villages. The trust has built over 200 dams in 100 villages of Rajasthan and is now working in Maharashtra, Madhya Pradesh and Chattisgarh as well. Amla’s journey into water harvesting began when she witnessed the poor conditions of the drought affected villagers of Mandawar in Rajasthan. What started out as water harvesting has now become means of providing livelihood and empowering the villagers. From Amla’s story I see that sometimes all it takes is the building of a single check dam for the villagers to feel empowered. Also, her belief of deeply engaging with the locals in order to instill a sense of ownership, in setting up these systems, reinforces my belief that when work together as a community, there’s a lot that we can get done. 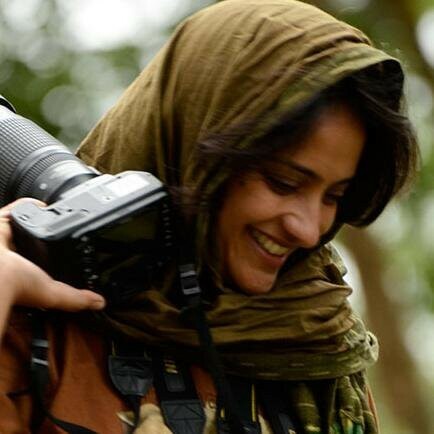 Arati is an environmental photo journalist and writer. She writes, captures and tells stories of unheard and underreported people, landscapes, trees, rivers, rocks and even dunes. Beings that have become victims of environment exploitation and those who have been consistently neglected by the world. She is best known for her project “River Diaries” that enunciates the rich livelihoods and ecosystems that are existing because of the rivers. Her projects include documenting the lives of communities of Sundarbans to Brahmaputra, of the holy Ganges and Cauvery’s journey to the Bay of Bengal. 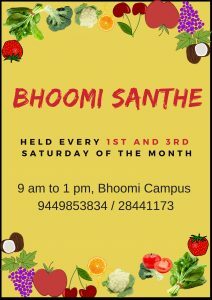 She is also the co-founder of the Peepli Project which focuses on providing deep narratives from the sections of our society that are not part of the mainstream. Yes, the above list is short. And the write up surely doesn’t do justice to the scale or scope of work that is being done by the many women – famous, faceless and in some cases, nameless women. I can only offer my gratitude to these and the many other valiant women for standing up for their beliefs and inspiring me by doing so. Because it is clearly easier to get likes on Facebook than to actually get down to doing grassroots work. The world suddenly shrinks in the latter, making the outliers the outsiders, the “mad” who are not rational or sensible. The tables have been turned on this armchair activist. Action now will have to come from a readiness for responsibility and not from mere thoughts. 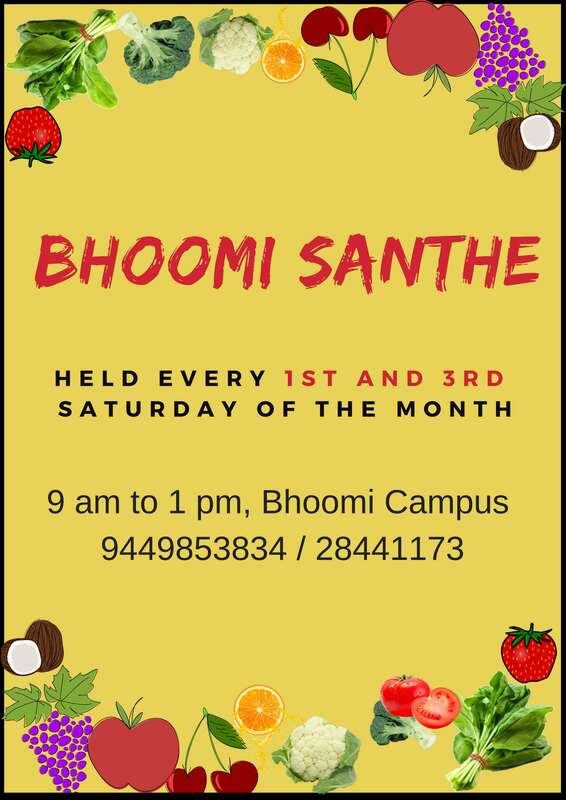 Celebrating the Forests of India with People who create Forests Every Day! The subject of water conservation appeals to mind. But it does not become clear what is the impact of conservation at individual level, household level, apartments level, a layout level! At home itself, I may use mug of water for brushing my teeth, but the house maid would use water as if it need not be given a thought! The design of cisterns, washing machines defy understanding! The use of water in the neighbourhood for car wash, house-front wash, gardening etc makes us dumb and mug of water laughing at us! Becoming conscious, if I check how water is used for cleaning of utensils, it appears to be a major area crying for attention, for a review of the design of utensils, the concept of cleanliness stretched to unwanted extent and so on! And the use of cleaning agent and its influence on consumption of water! The awareness of servant maids on the need for conservation of water and sound of running tap indicative of their working! A point of use study in the ‘universe’ , to borrow a statistical term, would show where does the water go! And the use of water by the construction industry; oh, the curing of the structure is left to the watchman! And what he cares? It is a subject needing ground level micro study and study of our obsession with cleanliness.